Meet with UAE national talents and candidates from all over the world using Virtual Job Fair online technology. Increase candidate relevancy to your positions. Position your company as a leading brand in a pioneering recruitment platform and distinguish yourself from your peers. Increase brand awareness and inform people about your company’s unique culture. Recruit and prospect talent at convenience of your office. Avoid expenses and exerted efforts experienced in traditional career fairs. Get information about companies’ culture , objectives and values. Yes, you will need to enter your name and email address to enjoy all Virtual Job Fair features. You can also upload your CV and send it directly to employers. FREE EVENT FOR VETERANS & SPOUSES! 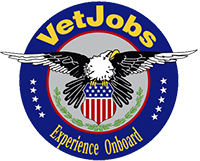 Welcome to VeteransCONNECT, a virtual job fair featuring veteran friendly employers. This event is open to all military veterans and spouses. You may register using your LinkedIn profile or you can upload your resume. Once registered you can search opportunities by industry and location. Feel free to ‘apply’ to as many jobs as you feel match your interest and/or qualifications. Be sure to visit often as new jobs will be posted throughout the 5 day event. Best of luck in your career endeavors and many thanks for your service.